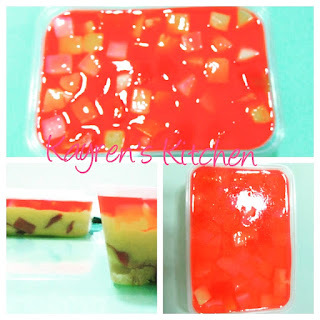 In Kayren's Kitchen, Triffle Pudding was last week's special. It is a 4 layer pudding made of cake, custard, fruits and jelly. 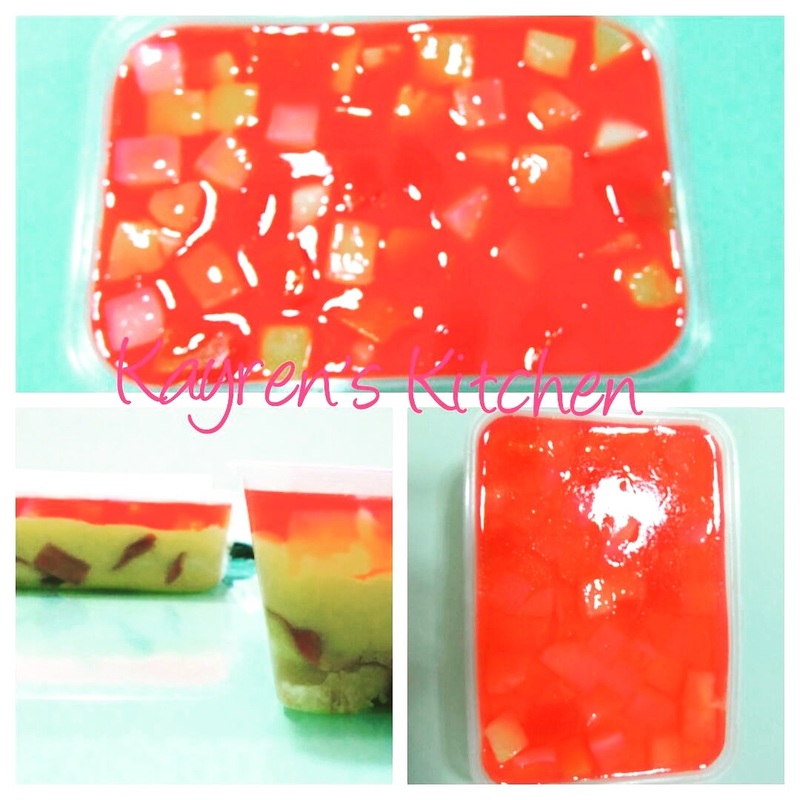 I made it with vanilla cake, custard, mixed fruits with nata de coco and strawberry jelly. Very yummy when eat it chilled.